This page is dedicated to young people who are concerned about someone who has Alzheimer's disease or another serious memory problem. We encourage you to learn about Alzheimer’s disease through books, resources, and the various initiatives that bring young people together to raise awareness and support for these conditions. 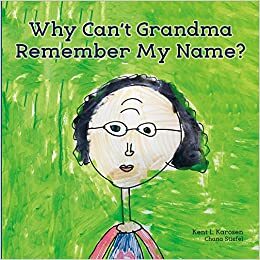 The attached "Parents' Guide: Helping Children and Teens Understand Alzheimer's Disease", published by the Alzheimer's Association, is a useful guide to understanding memory loss for young readers. Additionally, the Alzheimer's Association provides more information about this topic on their "Kids & Teens" page. More information regarding age-appropriate resources for young children and teenagers may be found by clicking here. Also, check out the 'Helping Children' website of the Alzheimer Society of Saskatchewan, Canada, for a "Words Scramble" exercise and suggestions for "lists of things to do" to help cope with seeing a loved one affected by Alzheimer's. The website is also available in French. For more information for young readers about Frontotemporal Degeneration, see www.aftdkidsandteens.org/. The AFA Teens is the official teenage branch of the non-profit organization Alzheimer's Foundation of America in New York. Originally founded by a teenager, teens who visit the AFA Teens site can also log in to "Speak to a Social Worker" or obtain more information about the AFA Teens for Alzheimer's Awareness College Scholarship Essay Competiion. Check out this fascinating Timeslips project, which was founded by Dr. Anne Basting of the University of Wisconsin, Milwaukee. It is an improvisational story-telling method that was originally designed to stimulate the imagination for people with dementia and their caregivers. You can read stories posted by others around the world, write/publish stories, invite friends to tell stories with you, and email published stories to friends. It is a 'lab' where people who have difficulty with communication can experiment with sounds, gestures, word fragments and whole sentences, create meaning, and have fun at the same time!